We are delighted and proud to be able to call ourselves a multi-award winning business. 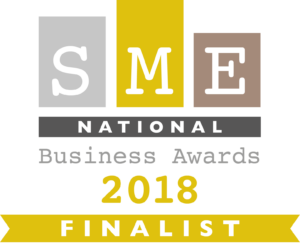 I hope that as we continue to enter, become finalists and win (fingers crossed) more and more prestigious awards this continues to add value to our clients. How do our award successes help our clients? In a world overflowing with websites and adverts, clients are looking for quick ways to differentiate good quality and trustworthiness. Awards provide third-party endorsements that Simply Amazing Training is a credible company demonstrating consistency over time so clients can feel confident booking with us. Our clients want to find an effective presentation skills trainer, they really want the training to work. In order to be shortlisted or win a credible business award you have to be able to demonstrate results and effectiveness. We submit testimonials, case studies and success stories to demonstrate to the judges that our approach works. We believe what we do is different and unique. We help people to "Tame Their Public Speaking Monkeys", and hence feel more confident in many situations. But most businesses thinks they are different and special don't they? We've actually been recognised for our innovation and we hope this helps clients to see we are different to the rest. If you haven't ever entered a business award you may not know what's involved. Each entry is different, but they often ask you to reflect back on past successes and demonstrate how you will repeat or build on those successes. It's really good practice to get us thinking and planning for future consumer needs. They also ask about weaknesses or obstacles you've had to overcome and these feed into continual improvements of our programmes. We are continually expanding our reach across the UK in order to help more people. To maintain our high quality we only want to attract experienced and high quality people to join our Licensed Practitioner family and work with clients. Our awards signal to the right kind of people that we are a business they would want to build their futures around. Are there more benefits to awards that we've not mentioned? Do let us know your views. A list of the awards we've won and been finalist status in are below for those who are really, really interested! Why a SASsy Structure is the way to go!